GN exhibit 11th CIPPE with biggest Solids Control Equipments Booth. 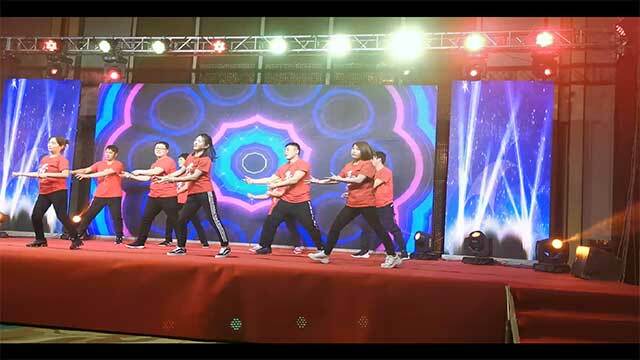 On January 28th, 2019, GN Solids Control held the 11th annual celebration and convention in Chaobai River Sheraton Hotel. The topic of this annual conference is ‘Flying dreams in splendid time’. The video showed that GN products have served in 72 countries and regions. Excellent quality and professional services were praised by clients from home and abroad. And the video showed GN core team with various elegant demeanour. In 2018, It’s a wonderful year for GN. Its revenue in 2018 is 30% higher than that in 2017. Moreover, This achievement was accomplished under three adverse conditions. Firstly, the overall international economic form is depressed, and the national economic growth rate has declined sharply. Secondly, the state's environmental protection policy is extremely strict, and the cost of products increases greatly, which leads to the rise of export prices and the decline of competitiveness. In addition, for one of the main markets, the US market is also affected by the Sino-US trade war, which makes the export of American products impose a 25% tariff and reduces the competitiveness of GN products in the US market. Then Mr.Zhou elaborated on the company's development plan for 2019 around three H's. The first H is Health. In order to provide a healthy working environment for company employees. The company invested about 1.5 million Dollars to build environmental protection production systems in new factories. 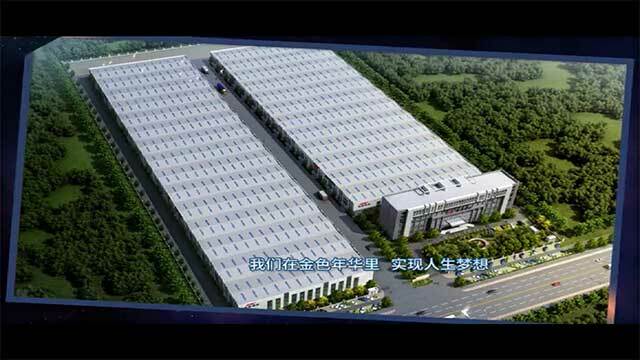 In the new plant, the company will build a paint production line and a powder coating production line, and equipped with the most advanced VOC purification system. So that the VOC emissions can reach the national standard of 50mg/cubic meter. In addition, for welding and cutting fume, a fume treatment system is also equipped to make welding fume up to the national standard of 4mg/cubic meter. These environmental protection systems not only provide a healthy working environment for company employees, but also assume corporate social responsibility for national environmental protection governance. The second H is Happiness. The company is committed to support employees to work efficiently and happily. To this end, in software, the company invested more than USD200,000 for online cloud-based ERP system, to achieve boring and repetitive digital statistics and process control through large data and cloud computing. In terms of hardware, the company plans to invest more than 2 million dollars to introduce 12 sets of welding robot workstations. Together with the original CNC processing equipment, paint production and CNC cutting equipment, these will make the production steps of the main processes of the whole company to be in the initial stage of intelligent manufacturing. And the labor intensity of employees is greatly reduced. The third H is Honor. GN has now provided services to customers in more than 70 countries around the world, we are striving to make our customers break through 100 countries in another three years; Moreover, many of our products have reached the advanced level of our international counterparts, and some of our products are even in the leading position in the world. We will continue to strive to make GN brand comparable to the international first-line brand. Not only should we strive to do a good job in product brand, but also the new factory of GN Solids will provide better living conditions for employees. We will build more than 6,000 square meters of activity venue, so that everyone can live a richer life after work. Through the development of GN Company, we can improve the quality of life of employees, make GN employees proud of GN brand and work together to make GN Company become a “Huawei Brand” in solid control industry. People who cultivate will be the harvester and sharer. It is the outstanding staff who is the authentic backbone of GN. The year of 2018 was another harvest year for GN. Compared with 2017, the sales in 2018 increased about 30% with the same number of employees. This growth is from the hard work of GN team, trust from clients and support from suppliers. GN staff is awarded variously according to performance including automobile, house payment allowance, cash award, overseas tour and team building etc. GN got professional performance group, compere from outside and even GN staff to present wonderful shows including songs, dancing, and monologue comic talk. On the stage, GN people showed the other side of themselves other than working, showed their elegant demeanor. The shows are unusually brilliant. Please enjoy part of the shows in the video. "Fly the dream in splendid life" is the theme of annual conference this year. GN could never achieve today’s success without the struggle of every GN people. Life is in a hurry for decades. Today we give the splendid years to GN, and GN will finally become the place where we fly our dreams and make the dreams come true. Finally, may all your wishes come true and happy Chinese New Year!